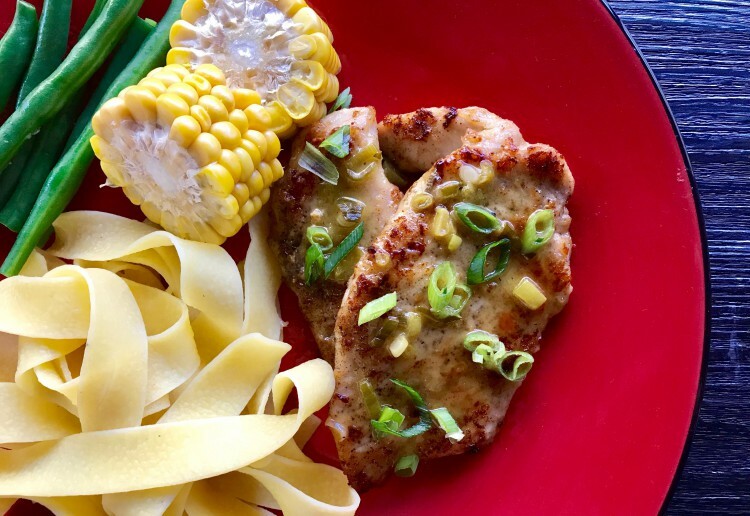 This Chicken in a White Wine & Lemon Sauce Recipe delivers tender, moist chicken drizzled with a deliciously light sauce. Elegant but very simple and quick to prepare … perfect for a week night dinner or for entertaining friends. Mix the salt & pepper with the flour, then coat the fillets in the mixture to coat the fillet. Shake off any excess flour. To the same pan, add a dash more olive oil then add in the spring onions and sauté for a couple of minutes stirring continually. Lovely & looks so delicious. Yum… making my mouth water right now. Loving this recipe. A great use for all that wine I have! It looks perfect. Easy to assemble and probably very tasty too! A lovely Summer meal that looks fabulous! Thanks! A dish that can be enjoyed in every season – good for cooler and warmer months of the year. Chicken in wine is always a taste winner – thanks for the recipe. Love the corn cobs served with the dish too.